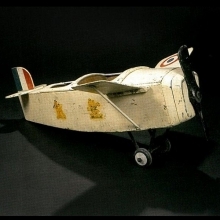 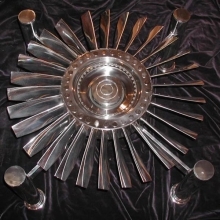 Pieces of unique character, these items are made entirely from parts taken from military and civilian aircraft at the end of their lives. 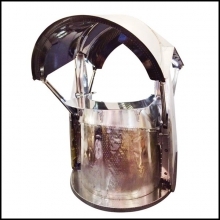 Each piece is cut out, assembled and polished by hand. 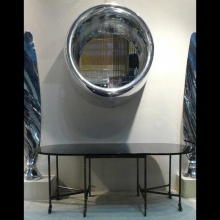 Their innovative conceptual aesthetic will seduce fans of aviation and industrial furnishings. 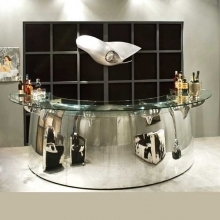 Aeronautical furnitures Parts of a unique kind, this furniture is made entirely from parts of military and civilian aircraft at the end of life. 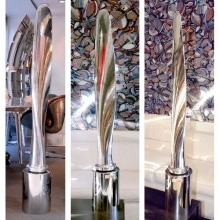 Each piece is cut, assembled and polished by hand. 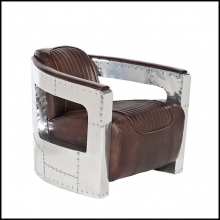 Their conceptual and innovative aesthetic appeal to aviation and industrial furnitures lovers. 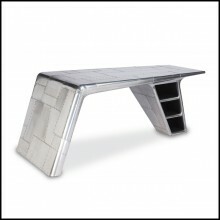 Make your interior designs soar with accessories and furniture that has been reclaimed from the aeronautical industry. 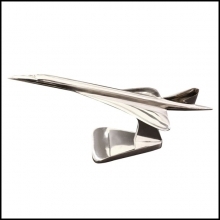 The world of aviation is filled with elegantly curved, iconic designs, and these aeronautical accessories bring the sector's dynamic design to ordinary interiors. 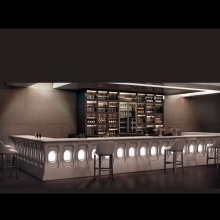 It turns out that aviation and interiors are a match made in heaven (or at least at 30,000 feet). 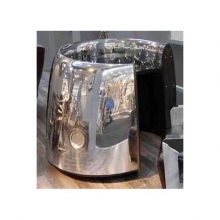 As you can see, reclaimed portholes are a superb motif for interior bars, especially when they are back-lit by some lighting from the Pacific Compagnie collection. 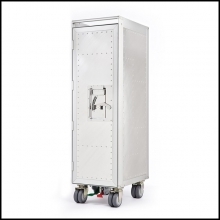 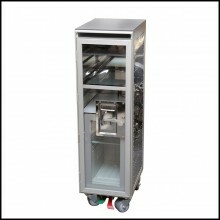 The same applies to storage accessories, with various eye-catching trolley designs based on the luggage movers to be found at international airports. 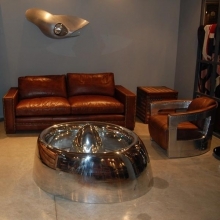 And there are even comfortable contemporary sofas that have been fashioned using sections of airplane fuselage. 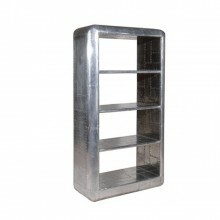 Whether you're into recycling or just in need of a unique theme for your designs, these products will fit the bill. 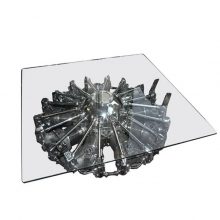 But the selection isn't limited to larger pieces. 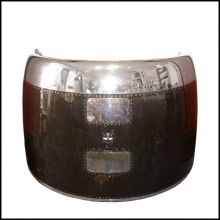 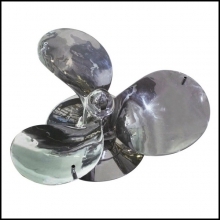 At Pacific Compagnie, we've also gathered together an impressive range of smaller items. 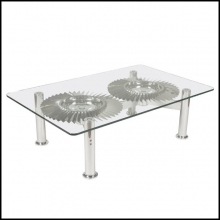 For instance, there are some wonderful coffee table decoration ideas to be had at our online store. 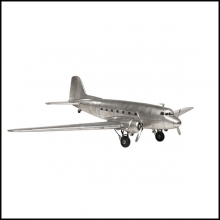 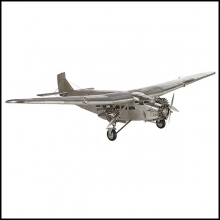 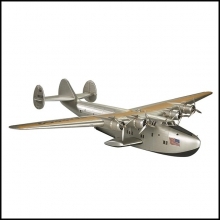 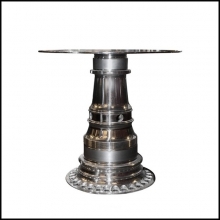 From table decorations made from propellers to fin sections that have been carefully mounted and smoothed, the aviation world has provided us with plenty of our-of-the-ordinary coffee table decorations. 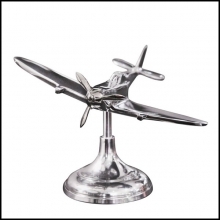 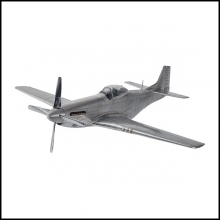 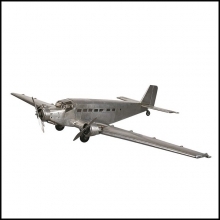 Some items like our fighter pilot helmet accessories are made for aviation enthusiasts who want to mix their passion for the skies with a love of interior design. 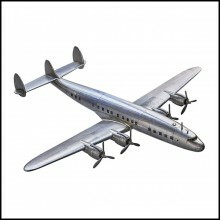 The same applies to our delightful model aircraft design ornaments. 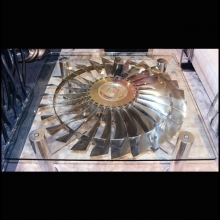 Other products are ingenious re-uses of aviation technology. 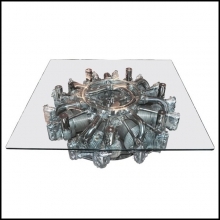 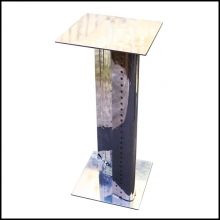 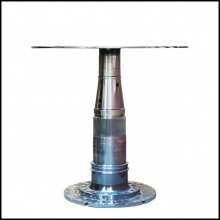 Take our engine coffee table range, where talented designers have discovered that the turbines in airplane engines make beautiful mounts for glass-topped coffee tables. 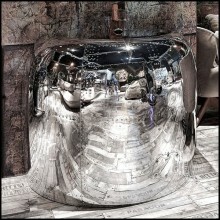 Parts have also been seamlessly integrated into mirrors, desks and chairs - and always with visually striking results. 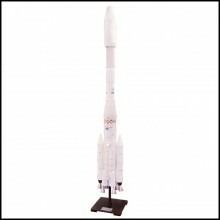 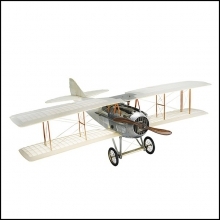 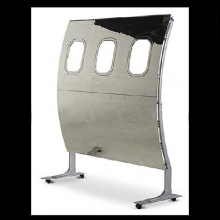 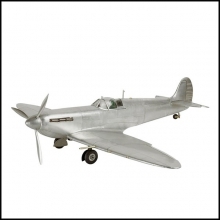 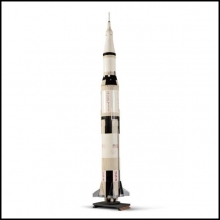 So if you want a theme that really takes off, browse our aeronautical furnishing and accessories. 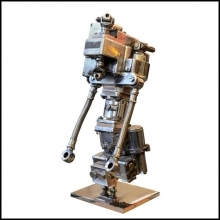 There are some amazing creations to discover. 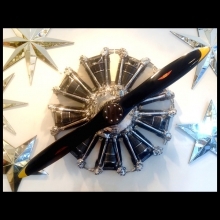 Blade plane en aluminium "Constellation"